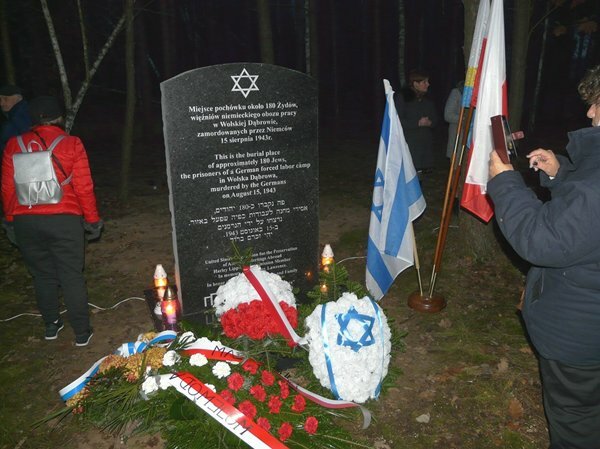 At the burial place of about 180 Jews – the prisoners of a former German labor camp in Wolska Dąbrowa – the Lasting Memory Foundation set up a memorial stone. 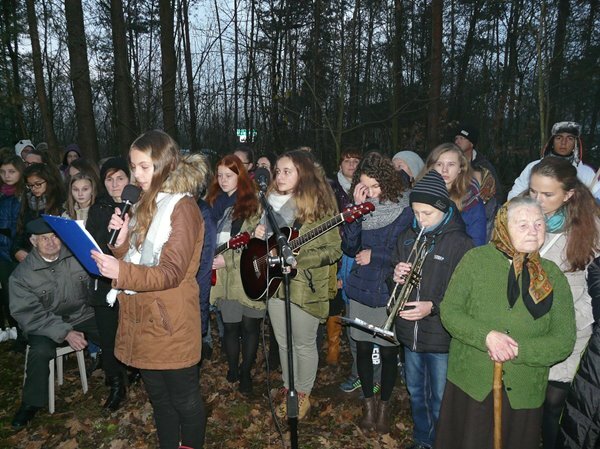 The unveiling ceremony was attended by the youth from local schools and from Israel, local authorities, clergy and residents of Wolska Dąbrowa and the area. 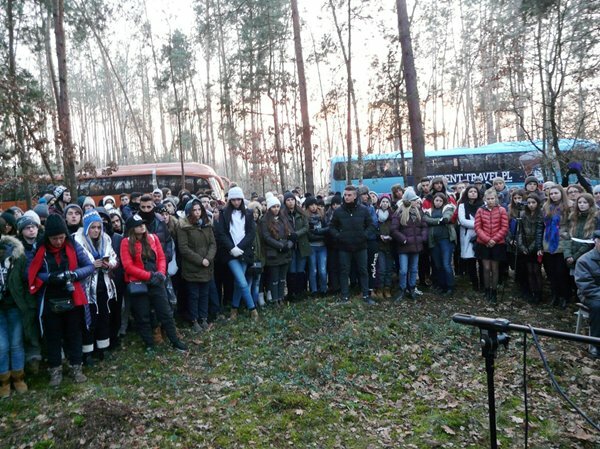 Among the ceremony participants were: the Mayor of Jastrzębia Commune, local government, a rabbi, the parish priest of Goryń, a group of 160 students from Haifa in Israel along with teachers, students and teachers from a Junior High School in Jastrzębia and Elementary School in Wola Goryńska as well as the residents of Wolska Dąbrowa and the vicinity. The rabbi and priest said their prayers. 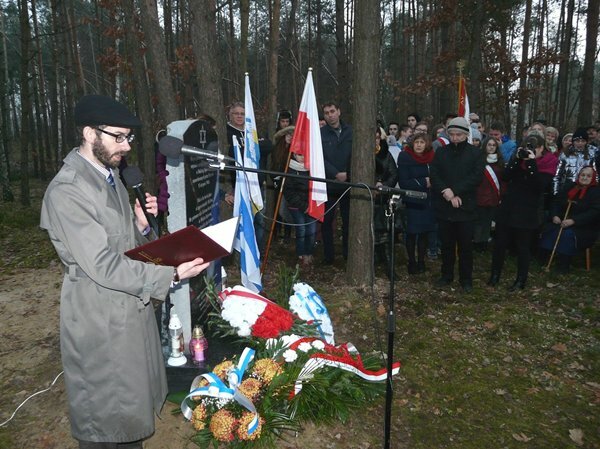 The Lasting Memory Foundation’s President, Zbigniew Niziński, told the story of the tragic events of 1943. In a nearby village Kruszyna, the Germans set up a military training camp where Polish, Soviet and Jewish forced laborers worked. Later the Germans set up a labor camp in Wolska Dąbrowa. Initially, Soviet prisoners of war worked there building roads. After they had been relocated, approximately 400 Jews were brought in instead. In August 1943, the German soldiers executed about 180 of them, the bodies were thrown into a pit and the remaining Jews were transported to unknown location. 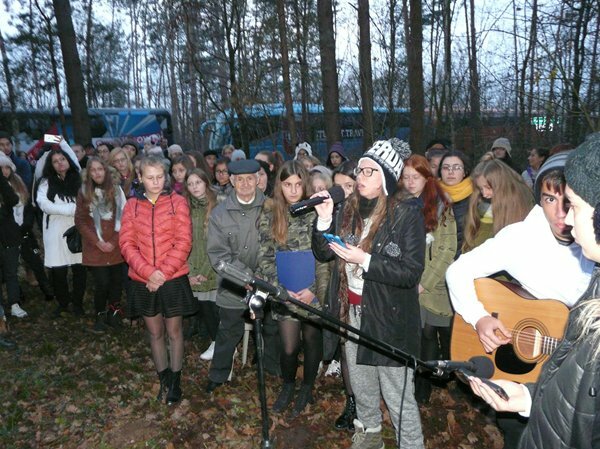 The students of the Junior High School in Jastrzębia sang songs and recited poetry. Next, the youth from Israel performed a heart touching song. 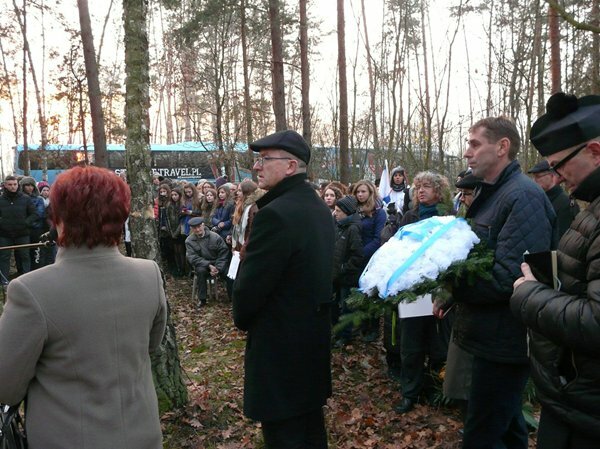 The participants paid tribute to the dead and expressed their hope for the world in peace, free of hatred.